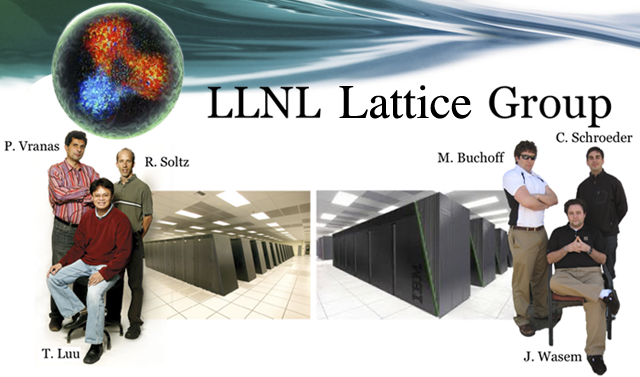 These topics involve strong interactions that can only be studied numerically using Lattice methods and the largest available massively parallel supercomputers. Our group uses the unique computing capabilities of LLNL to advance the state of the art in these cutting edge but demanding research fronts. Because we do our research together with large US collaborations we bring capabilities to the US scientific community that otherwise would be inaccessible. In the process we contribute towards the design and development of next generation supercomputers and numerical algorithms that are important to LLNL's supercomputing missions.